Angelina Jolie was born in Los Angeles, California on June 4, 1975. She is the daughter of actors Jon Voight and Marcheline Bertand. She went to the Beverly Hills High School after which she enrolled at the Lee Strasberg Theatre Institute. By the age of 14 she had dropped out of her acting classes. She went to London, New York and Los Angeles when she started working as a full time fashion model. But at the age of 18, she was given her first leading role in the 1993 film ‘Cyborg 2’. She did not aspire to be an actor, having only a minor interest in the film world. With the failure of this film, Jolie was disappointed with her performance and decided to never act again in another movie. But in the years 1995 she was given another role in a lead position, this time in the movie ‘Hackers’. She reluctantly agreed to do the film and it turned out to be a moderate success with Jolie’s performance being widely appreciated. 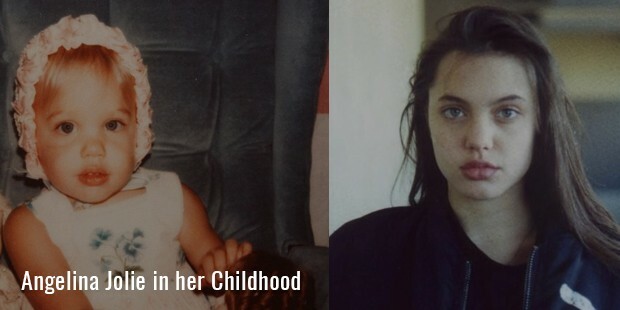 With this development Jolie decided to pursue further in the film industry. She starred in a bunch of movies like ‘Playing God’, ‘Love Is All There Is’, ‘Mojave Moon’ but none of them helped to propel her to stardom. Her breakthrough role was that of Cornelia Wallace in the film ‘George Wallace’ (1997). This performance helped her win a Golden Globe Award. The very next year in 1998, her performance in the documentary film ‘Gia’ got her another Golden Globe Award. She had achieved consecutive awards at such a young age. But things turned worse when she quit acting and enrolled at the New York University to study filmmaking and script writing. She again changed her mind and made her comeback by doing films like ‘Hell’s Kitchen’, ‘Pushing Tin’ and ‘The Bone Collector’. With her performance in the 1999 movie ‘Girl, Interrupted’ she again reached new heights and this time she won the Academy Award for Best Supporting Actress. 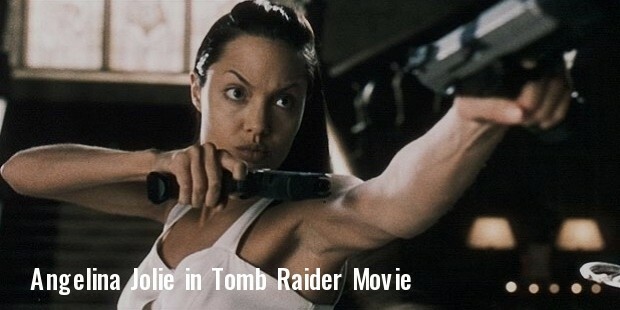 She had become renowned for her acting skills throughout the U.S. but with the release of the movie ‘Lara Croft: Tomb Raider’ (2001) she became an international superstar. This film went on to gross $275 million and showed how a female artist carried such a huge film on her own shoulders so successfully. Her next big film was ‘Mr. & Mrs. Smith’ (2005) which went on to gross nearly $470 million. This made her the queen of the box-office and one of the highest paid actors in Hollywood. In 2008 her performance in the movie ‘Changeling’ got her the Academy Award for the Best Actress. 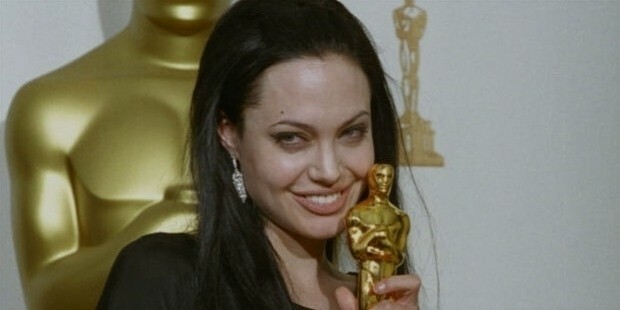 Angelina Jolie had achieved almost everything that an actor can achieve from critical acclaim to awards to commercial success. Her movie ‘Wanted’ (2008) grossed more than $340 million, ‘Salt’ (2010) grossed $290 million and ‘The Tourist’ (2010) grossed $270 million. She has also given her voice for the ‘Kung Fu Panda’ movie series which has grossed in excess of $1.2 billion. She was the highest paid actress in Hollywood for the years 2009, 2011 and 2013 according to Forbes with average earnings of $30 million a year. In a survey in 2006, she was recognised by nearly 79% of the American Public. From having a love-hate relationship with the Hollywood, today she has achieved almost everything that an actor can achieve at such a young age. She has been such a huge success that there might be very few movie lovers in the world who would not recognise Angelina Jolie.